Are Banner Ads on the Way Out? So, are banner ads dying? 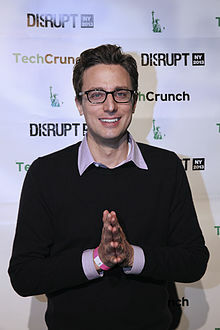 The CEO of Buzzfeed, Jonah Peretti (depicted right), stated that 100% of Buzzfeed’s revenue comes from branded content, and its easy to see why. With the statistics firmly standing in opposition of the banner technique, and the growing popularity of native and branded marketing, the very fibers of the banner idea are pulling apart before our very eyes. A single misstep in banner advertising becomes a strangling conviction against its design should but an expression, color or word choice be less than optimized. With pictures of people being the most effective at drawing traffic, a photograph can also do the exact opposite. The tone by color scheme and/or cadences of written words can be misinterpreted, psychologically inadvisable, or simply ineffectual, and what this all this boils down to is the basic form of banner ads. That they are traditionally static, small, avoidable, and purely commercial. Banner ads evolve by virtue of their replacement. There is no organic process, no establishment of report, no way to tell a story. In this way, banner ads can play, at best, a minimal role in telling your brands story or inspiring consumers to invest themselves in what it’s selling. Banner ads are inherently a kind of private, digital window-shopping; meaning that the product being sold has no choice but to sell itself by being the precise thing the consumer already wishes to see when they happen to glance at it. This is the reason for so much of the contemporary ad styles seen of Facebook and sponsored on journalistic websites. Specific demographics are appealed to with specific hopes, especially when the banner ad itself doesn’t link to a native advertising campaign. With such limited opportunity for converting unintentional or basely curious viewers, there are few products which still profit especially from banner ads. So does this all predict the fall of banner ads? What changes do you think are going to be made to combat such troubling truths for advertisers? Let us know in the comments below, or on Twitter @Connatix!